Lou It Yourself and Native War Paints got together and created this Light Side duo in honor of the Rogue One movie coming out December 16th. The duo is $17 + shipping. They've also created a Dark Side/Rebellion duo, which I've already reviewed. Both duos release December 9th at the Native War Paints shop. 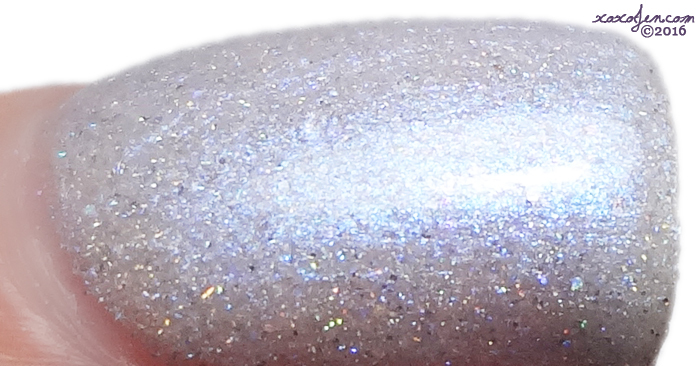 An almost navy, yet slightly indigo base teaming with coppery shimmer and holo sparkle. I wore two coats with topcoat, formula was smooth and easy to apply. Up your count with this glowy, bio-luminescent looking polish. I wore two coats with topcoat and the formula was fantastic. Are you rooting for the light side? Show some love by sporting these polishes at the theater! The duo is $17 + shipping. Both duos release December 9th at the Native War Paints shop. 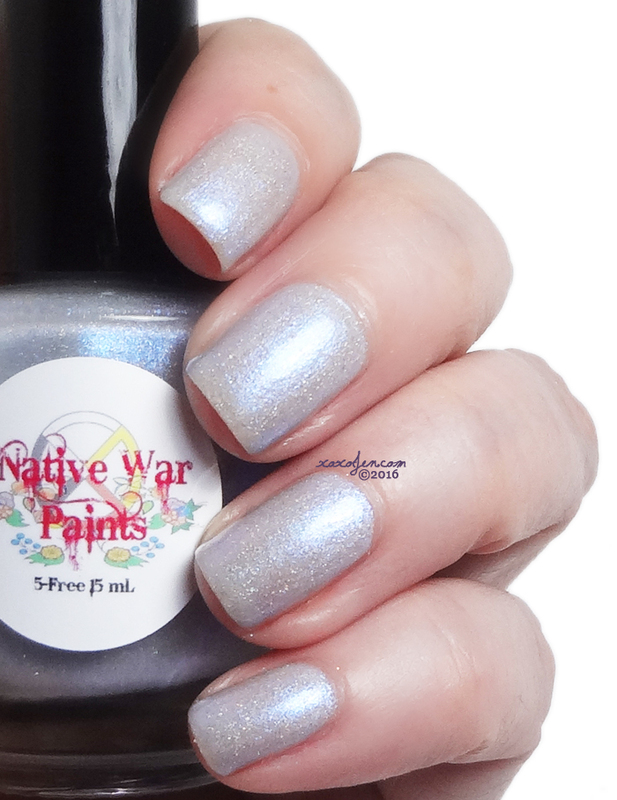 Stay tuned to my blog for a look at the Light Side/Rebellion duo.